Save the Date! 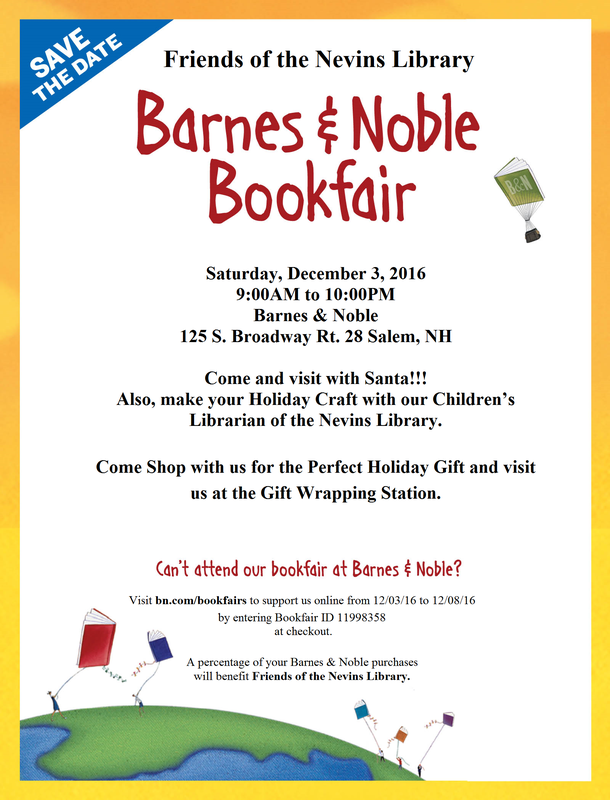 December 3, 2016 – 9:00 AM – 10:00 PM – Barnes & Noble Fundraiser to benefit the Friends of the Library! . Click here to print the flyer and the coupon. You must use the coupon to get credit for your purchase. Thank you for supporting the Friends of Nevins Library! Get some early shopping done and make money for the library, what a deal! Categories: Celebrations, Friends of the Library, Fundraiser | Tags: Barnes & Noble, Book Fair, Friends of the Library, holiday shopping | Permalink.